With just 16 years, Rafa Zafra (born in Seville, Spain), starts developing his love for the Andalusian cuisine. After school, works in several prestigious Michelin Star restaurants such as Tristan, Aldebaran, Arzak, Arnolfo, La Antica Trattoria, Calima or La Terraza del Casino; until he returns to Seville for becoming Head Chef of La Hacienda Benazuza and elBullihotel’s collaborator, keeping 2 Michelin Stars and 2 Soles Repsol. Afterwards, Rafa continues working with the Adrià brothers in different gastronomic projects, until finally in 2016 opens his most personal project: ESTIMAR. The restaurant located in Barcelona created to convey his love for the Mediterranean, making a tribute to the seafood products. 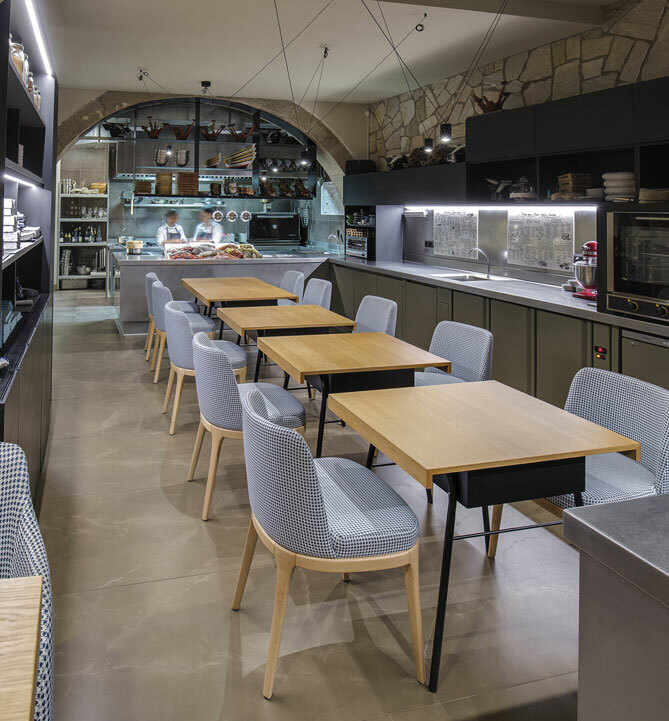 ‪‎ESTIMAR just has been recognized as “Best New Restaurant of Barcelona” by Macarfi Rookie Awards, the guide of the Condal City’s local restaurants. The restaurant in which Neolith is present with the Neolith ‪Pulpis Silk model applied in the floor. A model that transmits power, sobriety and elegance with contrast and a play of shades and volumes in combination with other architectural elements of lighter tones.